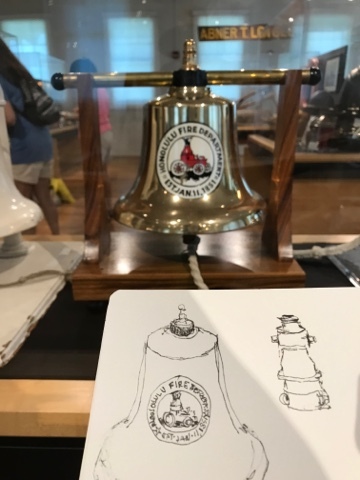 Urban sketchers from around the world met at noon with USK O'ahu to see an iconic establishment, the Honolulu Fire Museum.We had visitors from Australia, Seattle, Arizona and more. USK O'ahu taking the Fire Museum Tour. 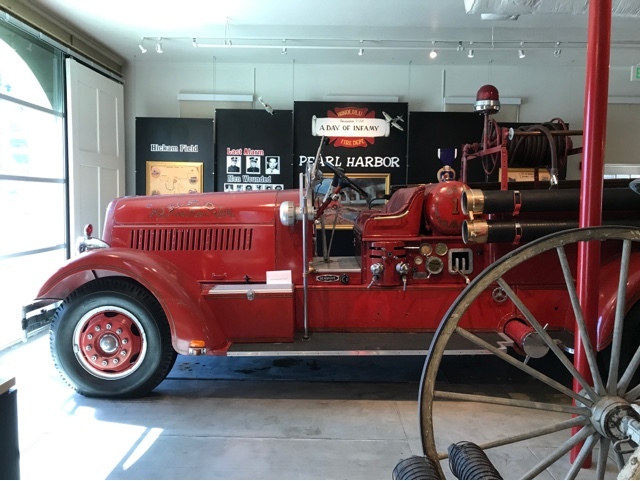 I knew there was an historic fire engine in the museum and as we progressed through the streets of Honolulu I was sure that Engine #6 would be my primary subject. Engine #6 was one of three engines that responded to the attack on Pearl Harbor. Many of my fellow sketchers did choose Engine #6 as their subject. 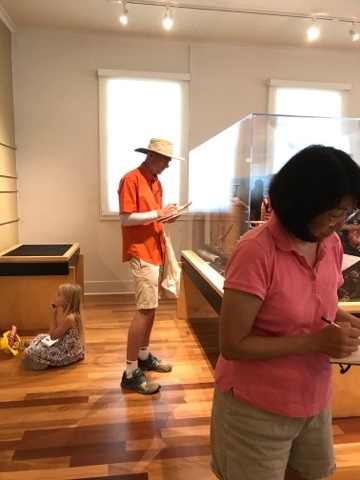 Once we went through the tour, however, I realized there were intimate artifacts that could more appropriately relay the impact of my experience that day. 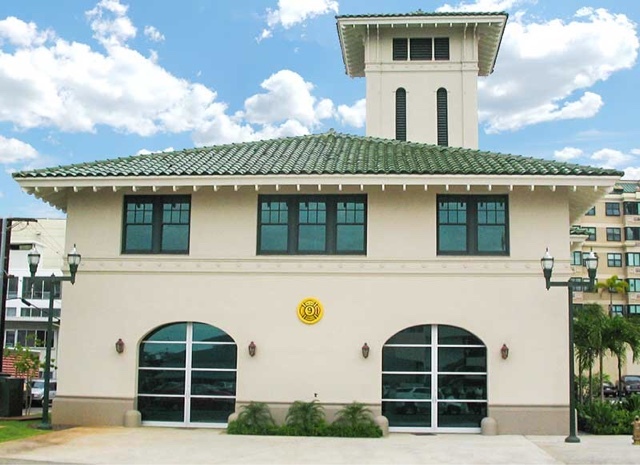 The Honolulu Fire Department was founded 167 years ago, almost to the day. The heroic sacrifices of these men brought my attention to objects they had personally used. I was touched by the courage and dedication of the Honolulu firefighters through their history, including four monarchs who rolled up their sleeves and fought right alongside them. 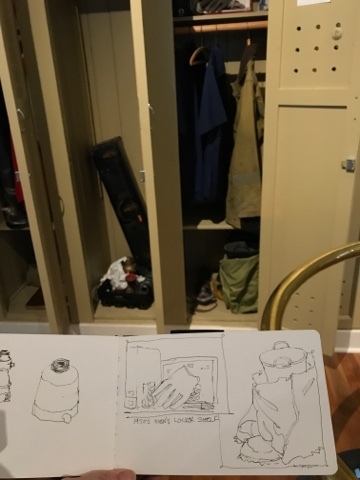 I sketched the 1851 historic bell, 1900's welded fittings, and personal protection equipment from a 1970's locker. The official bell used in the founding year of 1851. Hand soldered fittings made by innovative firefighters in lieu of supplies not provided due to budgetary constraints or lack of availability. A 1970's men's locker with personal protection equipment of the era. Please read USK O'ahu blog for more about our sketch outing. Some local sketchers on the second floor, intent on their drawings. My granddaughter, Leila, age 8, did three pages of drawings. 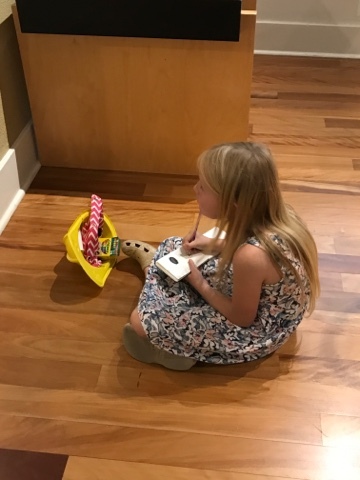 Sketching is a generational affair, particularly with my grandchildren. 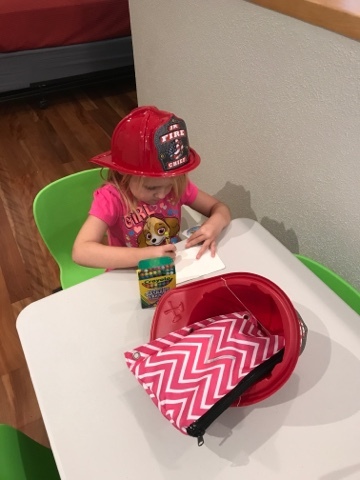 My 4 yr old granddaughter, Ocean, age 4, sketching a helmet.